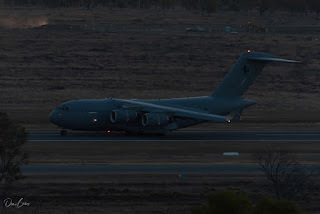 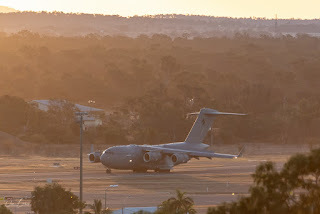 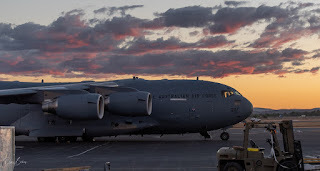 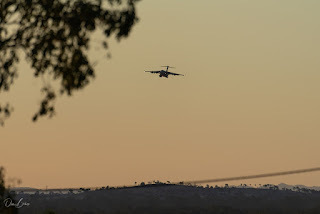 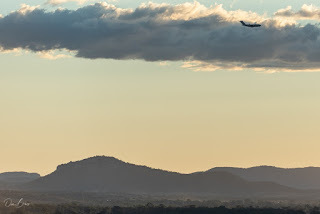 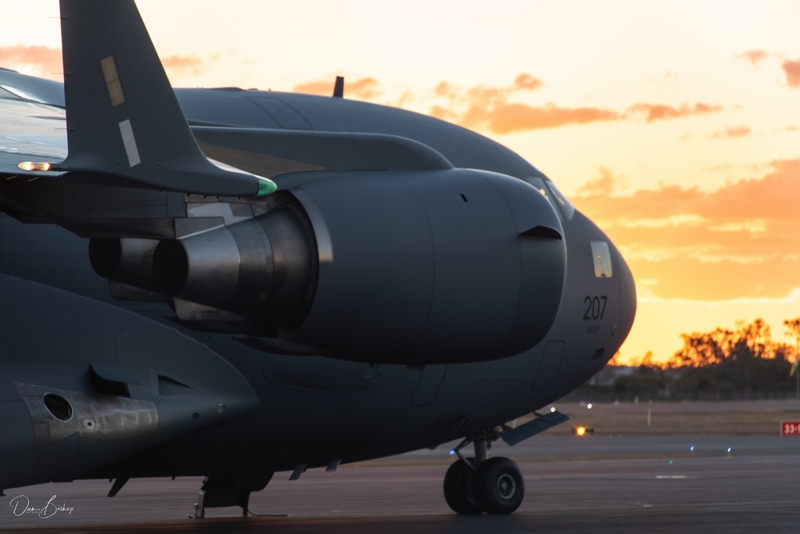 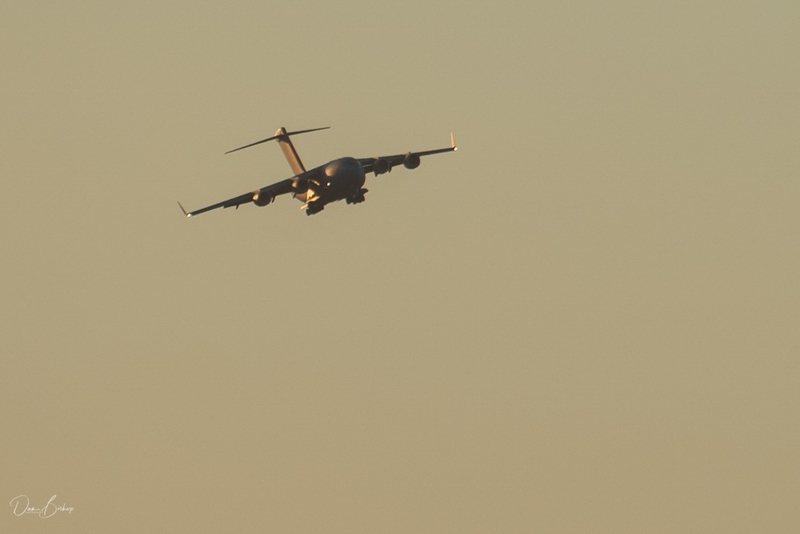 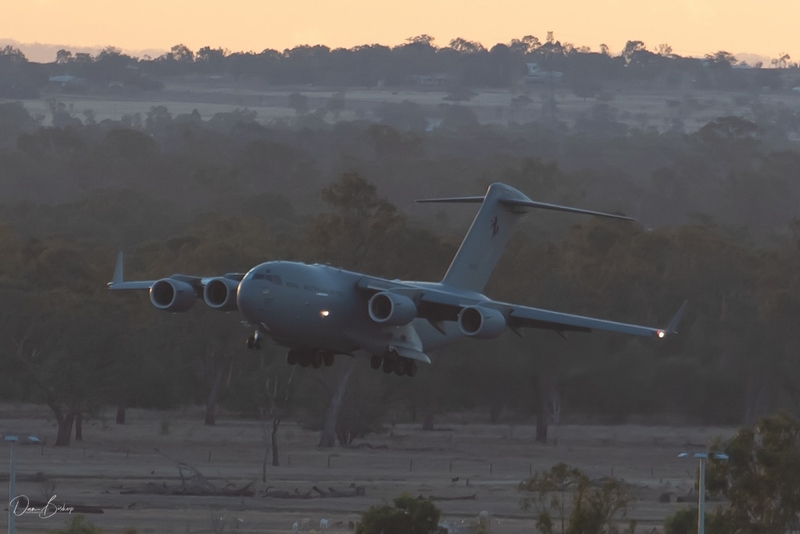 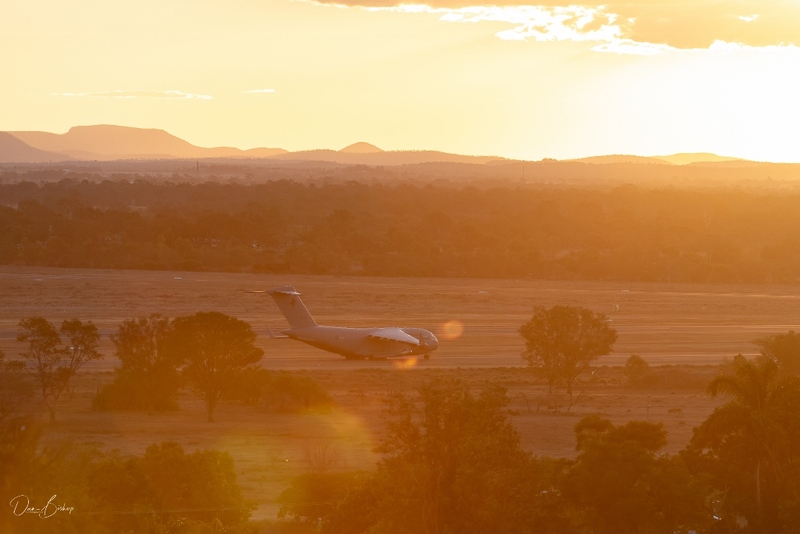 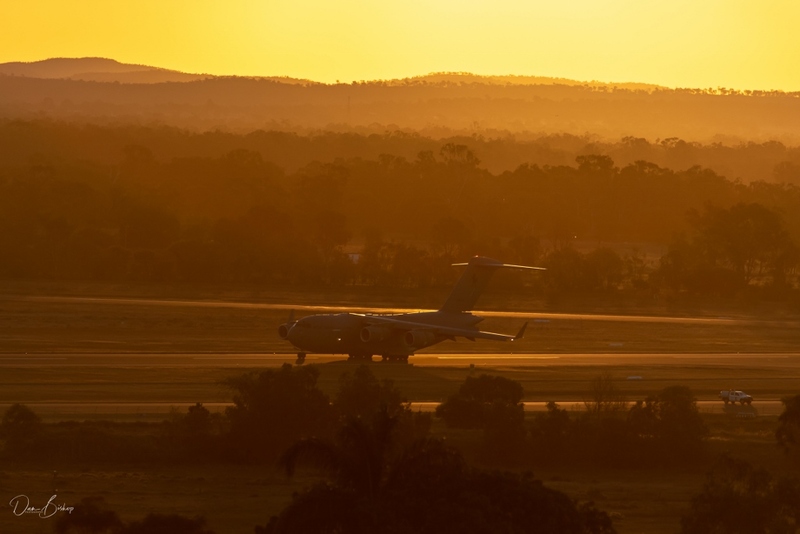 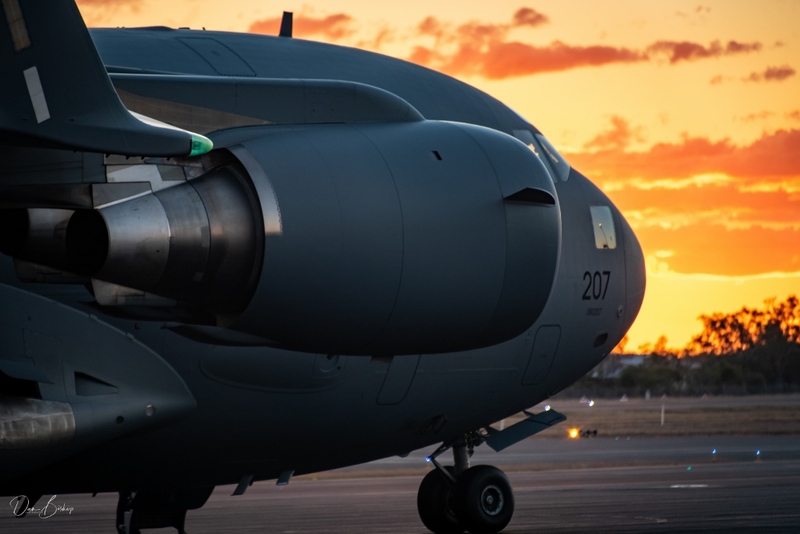 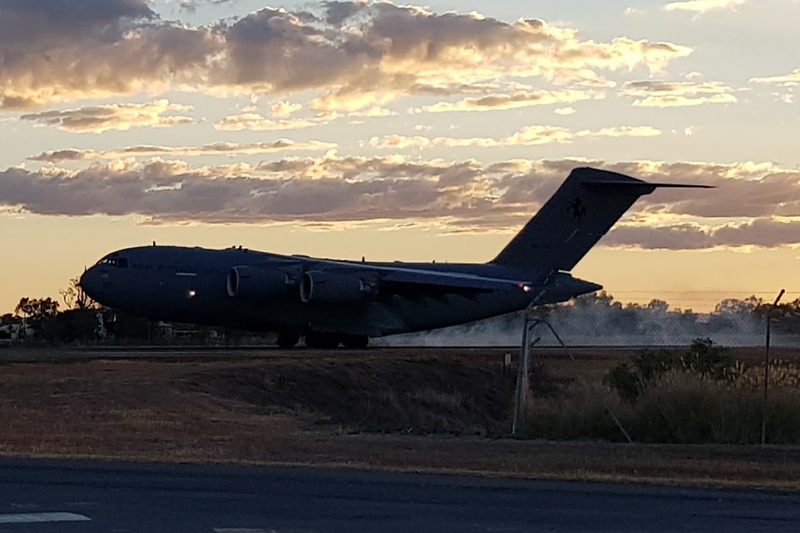 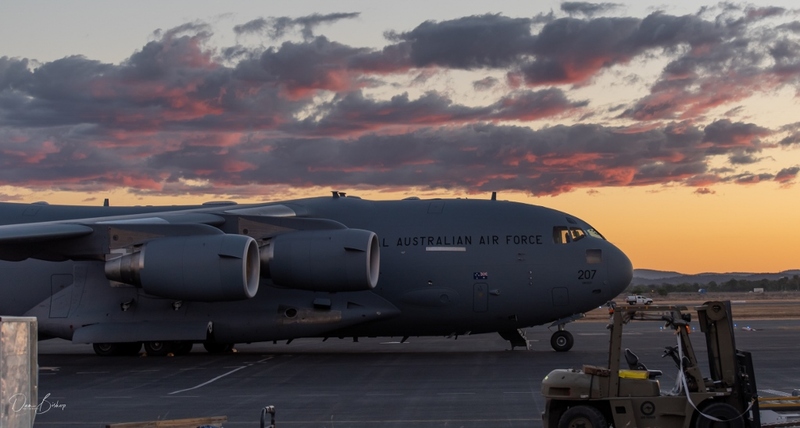 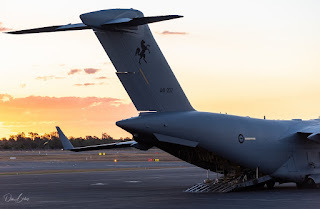 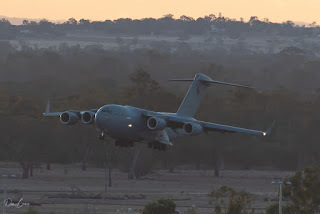 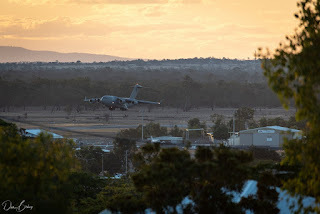 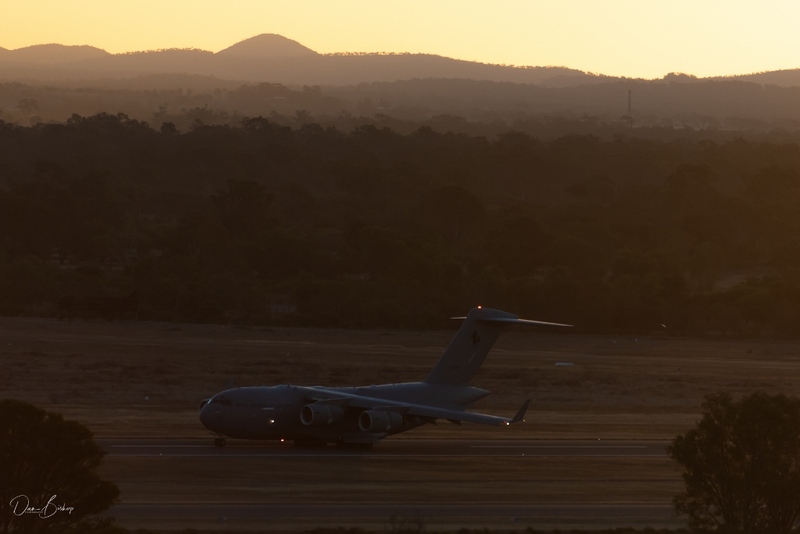 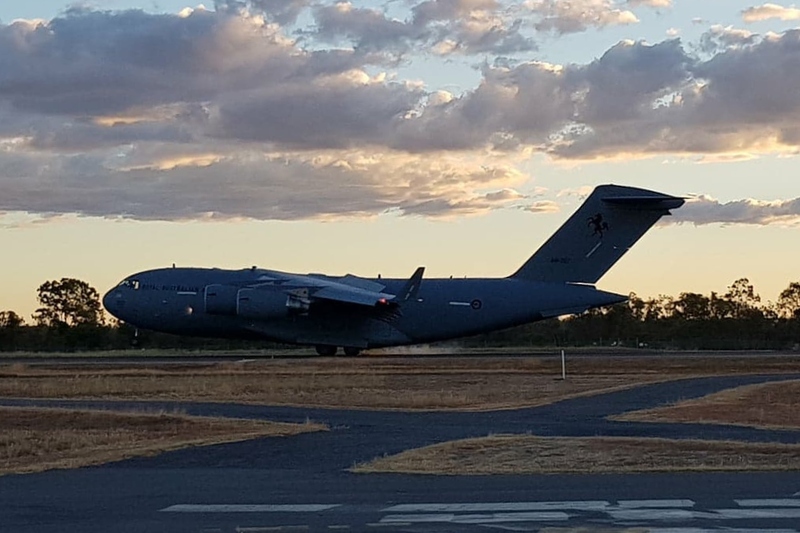 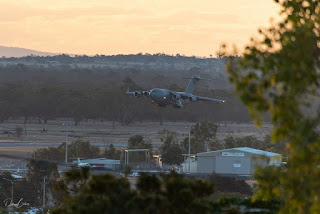 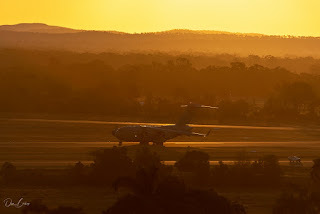 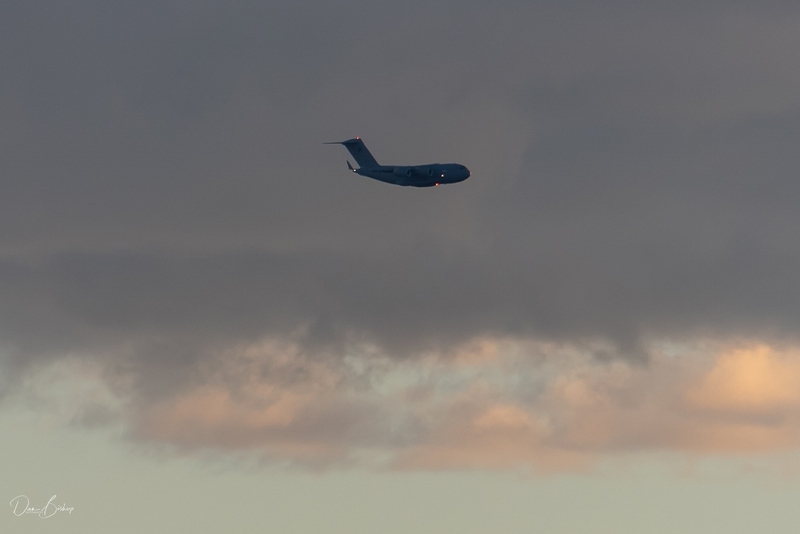 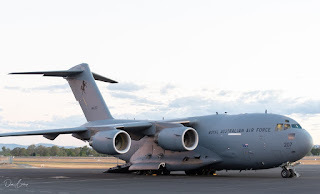 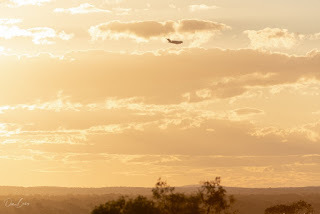 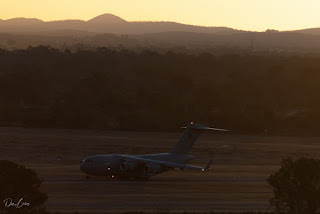 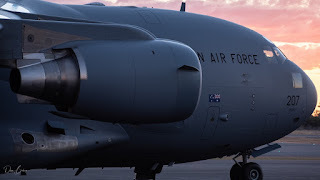 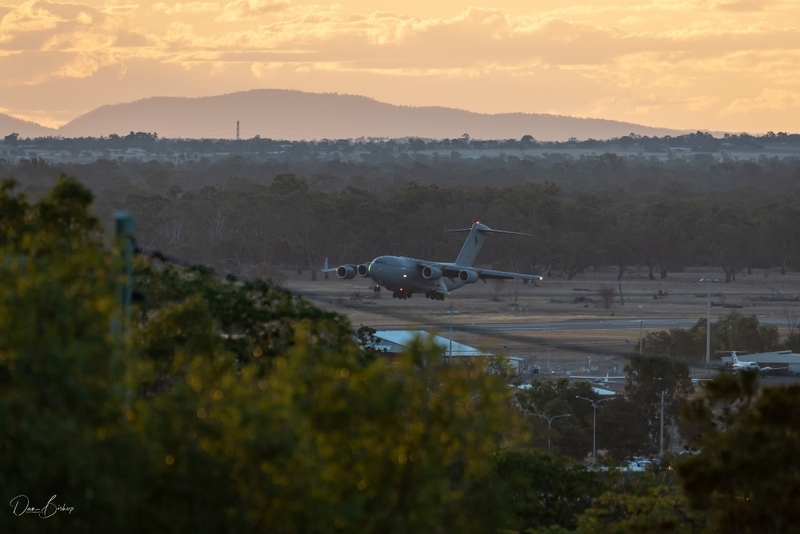 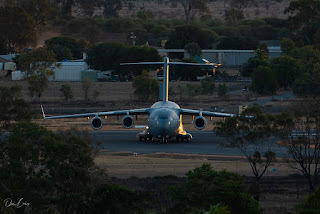 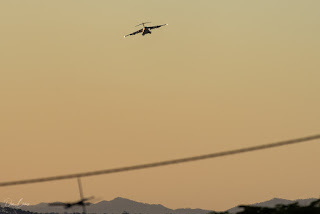 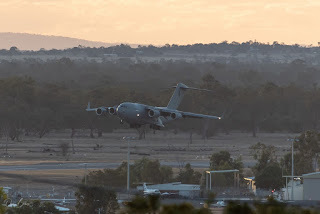 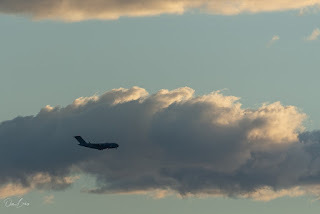 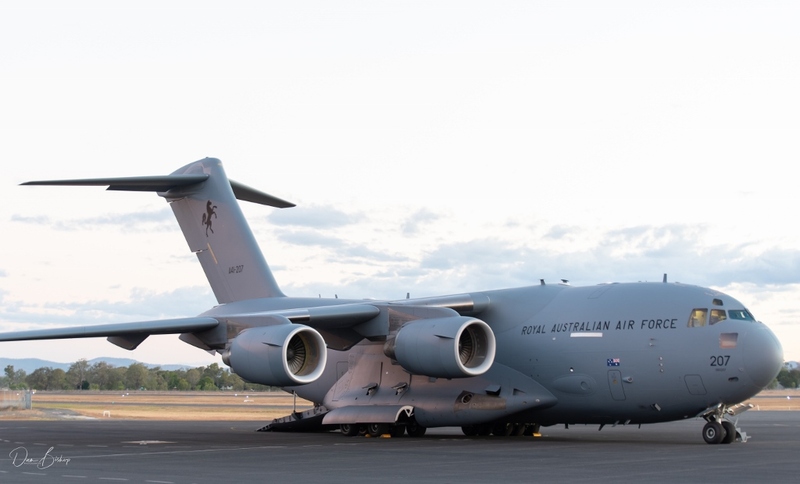 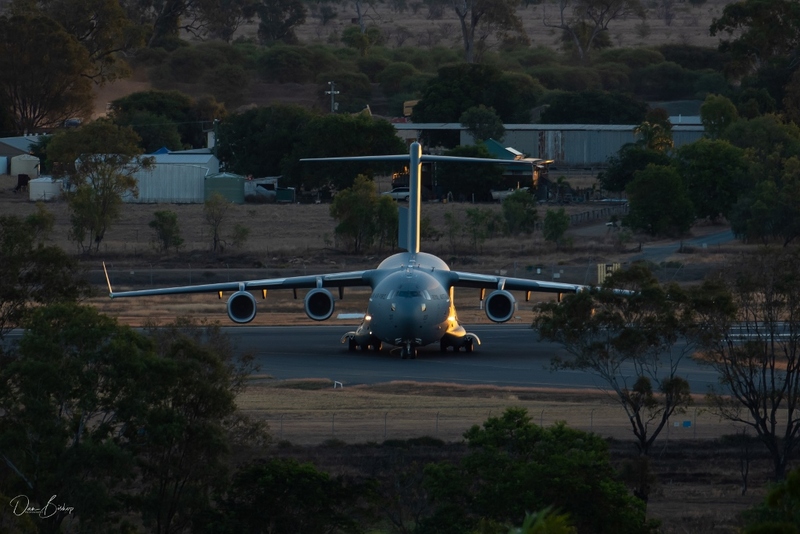 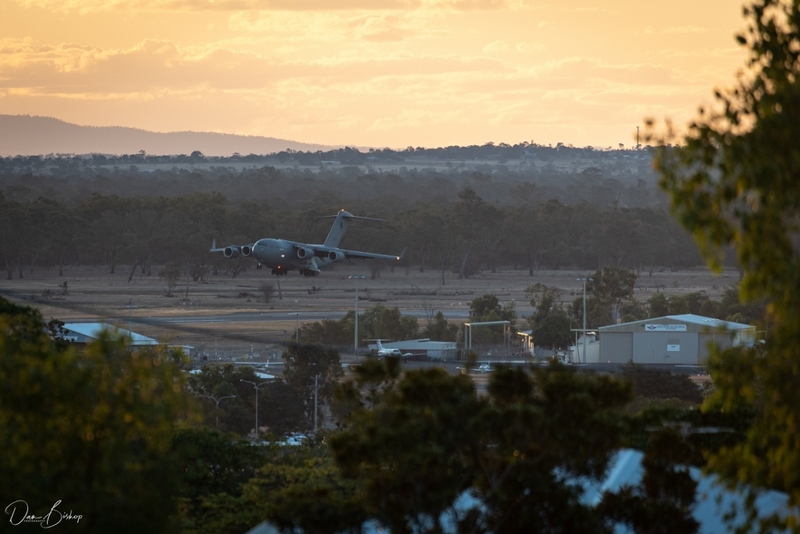 Around dusk on Thursday 7 June, Royal Australian Air Force (RAAF) Boeing C-17A Globemaster III A41-207 was spotted arriving into Rockhampton Airport from RAAF Base Amberley. 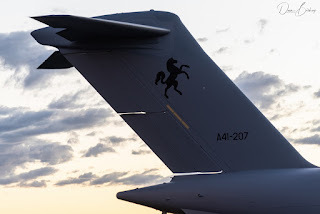 It was heard to be using the radio callsign of "Stallion 07". 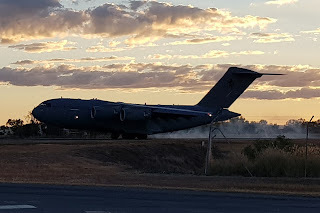 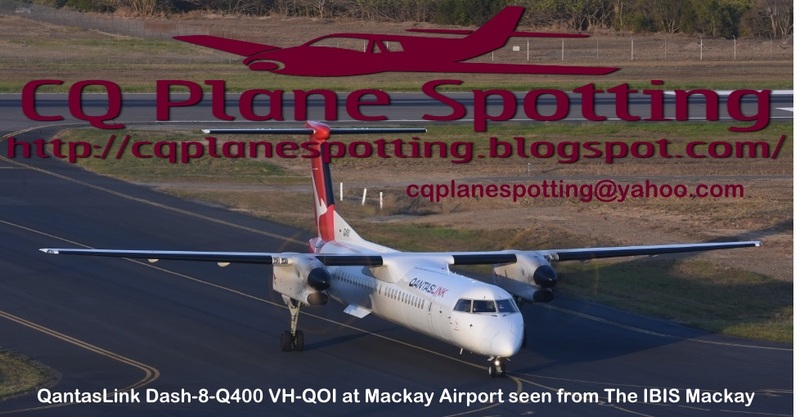 After landing on Rocky's Runway 15, it taxied in and parked on Gate 6 on the Southern end of the Rockhampton Airport parking apron where it was loaded with some equipment. After a while on the ground, A41-207 departed to RAAF Base Amberley. 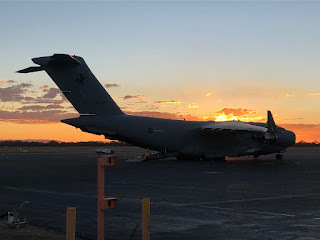 Sincere thanks local plane spotters Julie A and Daniel B for taking the time to capture and send through these stunning late afternoon photos!